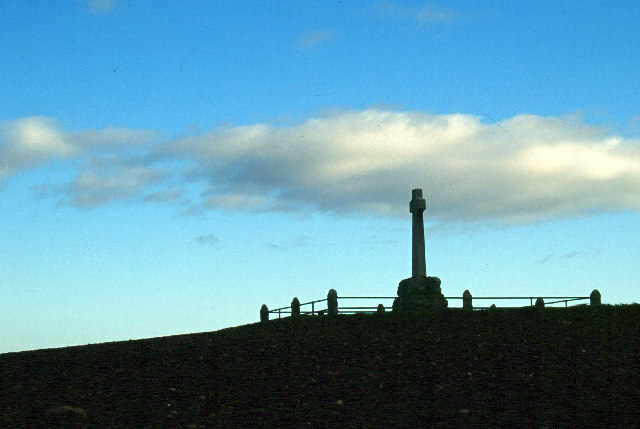 Memorials were held in both Scotland and England yesterday to mark the 500th anniversary of the Battle of Flodden, where over 14000 men lost their lives, including King James IV of Scotland. The most intense fighting was between James’ square and Surrey’s own retinue with the Scottish king killed within a few yards of the English standard. With very few prisoners taken in the slog of hand-to-hand fighting, the Scots stood and died with their king …including nearly all the peers. The English were too exhausted to pursue the remnants of the Scottish army. Services where held near the site of the battle, which was fought on September 9, 1513, and at St. Giles’ Cathedral in Edinburgh. Other events will be occurring throughout the month. Stirling Castle is holding a series of activities in September to mark the battle, including After Flodden – Commemoration and Coronation, which will take place on Saturday 21 and Sunday 22 September. Dr Lorna Ewan, Head of Visitor Experience, Content and Learning at Historic Scotland, who run Stirling Castle said: “Flodden was a key event in Scotland’s history, and Stirling played an important role in its story. It was home to King James IV; it was the place where his noblemen re-grouped in defeat and where an infant prince was crowned king. “James IV was a king who established his credentials as a European monarch, firmly embracing the art and learning of the Renaissance court. He did this partly by commissioning magnificent buildings – including the Great Hall which can still be seen at the castle to this day. To learn about more events that are taking place, please visit the Flodden 1513 website.